Plastics are an important part of our daily lives. They are in our coffee machines, our bicycle helmets, and our cars, to name but a few examples. 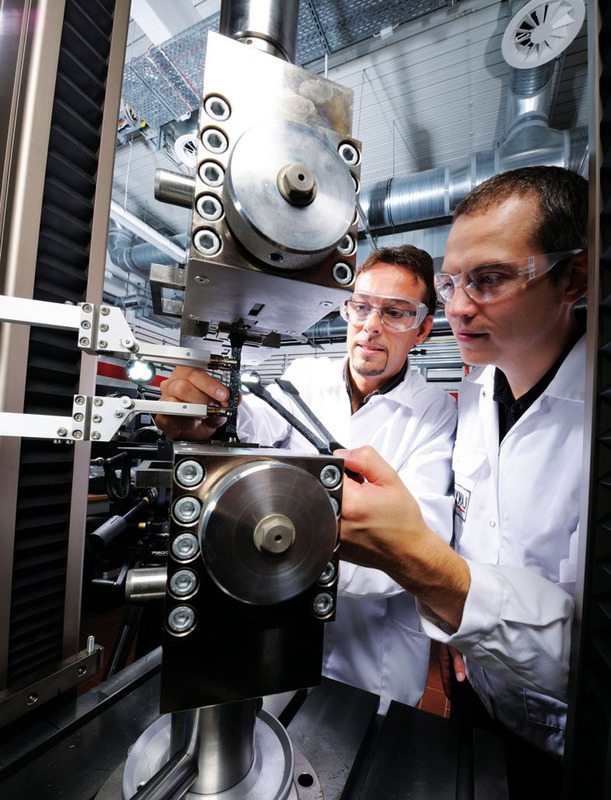 The high-tech plastics of Durethan and Pocan from LANXESS are specialists in complex, technical applications. With HiAnt, the chemical company can also offer customers all-round service for the development of comprehensive system solutions. Tailored to customer requirements, this service covers component design, material selection, functional construction, and tool design, through to assistance with the commencement of production. The HiAnt brand name is based on the word “ant”. Ants can carry multiple times their own body weight despite their delicate bodies. They are also renowned for their industriousness and well-organized teamwork which interlink through effective communication. These qualities are also closely related to this service, which is why LANXESS came up with the brand name HiAnt. “These qualities point to innovations that we used in the lightweight design of high-strength structural components in relation to materials, material combinations, design, and processes. 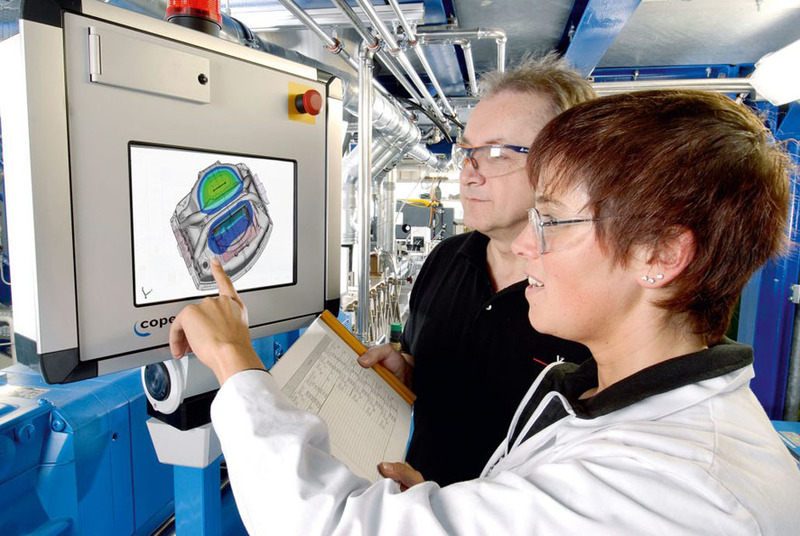 Our HiAnt engineers work side by side with our customers during the component design, material selection, functional planning, and mold design phases through to technical support with production processes,” says Jan Bender, Head of Marketing EMEA in the High-Performance Materials (HPM) business unit. The similarity in sound between HiAnt and the term “high-end” is no coincidence. “We regard ourselves as a technology leader and provider of high-end solutions in many innovation areas with our plastics,” says Jan Bender. LANXESS serves customers in the lighting, electrical, and electronics industries through all development phases of plastic components. “We want to develop component solutions with our customers, which are optimally tailored for all stress scenarios and requirements, and which are also convenient and economical. For example, we check the suitability of a material for a certain application as quickly as possible. This enables our customer to ensure purposeful development,” explains Frank Lutter, CAE team leader in the Customer Engineering Services division in HPM. One highlight of HiAnt is a simulation tool, which enables components to be designed with the right plastics in order to efficiently dissipate heat. It takes the component geometry, installation situation, and heat input into account. It can be used to show how the temperature of an LED heat sink, for example, depends on its geometry and source material. “We can also visualize the flow of air (air convection) around a component. This enables design engineers to align cooling ribs with the convection, for example, to improve heat dissipation,” Frank Lutter explains. These simulations help to save costs and time, as the prototyping workload is reduced and a large part of the development work can be conducted virtually by computer. Another key service element of HiAnt is the computational design of components, which are subject to strong mechanical stresses due to shock or impact, for example. 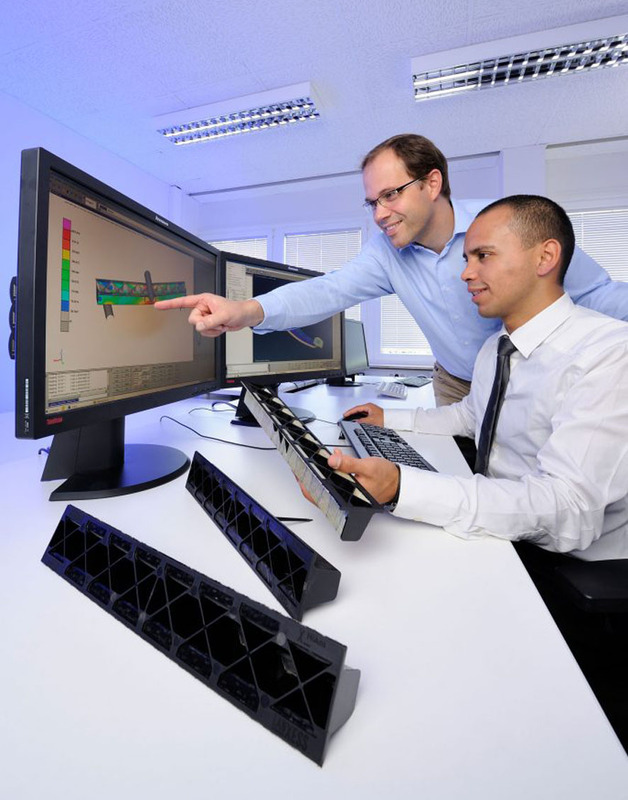 LANXESS can thus carry out computational simulations of the hammer and ball-drop impact tests commonly used in the lighting industry and adapt the design of a housing to the forces by making modifications to reinforcing ribs. The HPM business unit at LANXESS is also a strong development partner for the automotive industry. HPM determines important material data for customers, such as strain-rate-dependent material values in complex high-speed tensile tests, which are key indicators for the simulation of the crash behavior of components. Component checking is another area of expertise of HiAnt. In the shaker testing facility for vibration checks, all typical vibration checks can be carried out on the largest intake modules for the air intake tract in the engine. HiAnt services include feasibility, weight, cost and risk analyses, as well as application-specific recommendations for material selection. We also offer advice to ensure that the right plastics are used in molded parts and we provide material characteristics to determine key load cases. “We also simulate the production process and mold filling as well as component behavior in terms of aspects such as static and dynamic load-bearing capacity, natural frequency, stone impact resistance, and crash behavior,” Jan Bender summarizes. With its HiAnt engineering expertise, LANXESS helps its customers at all stages of the development of components for new forms of mobility – from the initial idea through the start of production. “We make use of our extensive experience with plastic components for the automotive, electrical, and electronics industries. We understand our field and know how these industries think,” Jan Bender explains.